Figure 1. 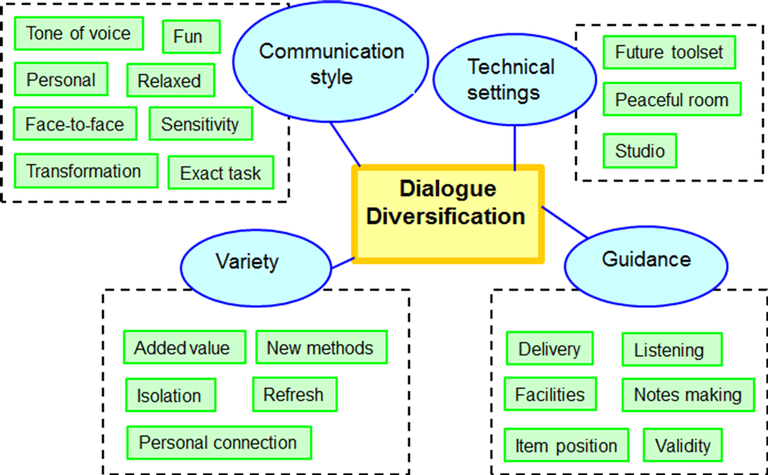 A thematic network titled Dialogue diversification shows the different organizational and basic themes of dialogue diversification in RAF context. - Based on case academics’ experiences they felt that by using RAF they can provide learners more relaxed and dialogic feedback. Academics could use their tone of voice to add semantics, for example be supportive, instructive, critical in constructive way, motivational or conversational. This way the participants also felt relaxed when talking to their learners via RAF and that RAF is personal and fun to work with, says Senior Lecturer Anneli Heimbürger from the University of Jyväskylä. - At the same time academics reduce their own workload both mentally and physically. The cognitive load decreased when speaking the dialect of his/her own instead of using literary language, as usual in emails. For physical aspects, for example eyestrain decreases with RAF compared to working with display terminals. Participants reported approximated 30% - 50% saving of working time compared to time used when writing feedback via emails, tells Senior Lecturer Ville Isomöttönen from the University of Jyväskylä. - RAF is also pedagogically flexible. All case academics reported the scalability of RAF, in other words that RAF can be used with different types of learners’ writing assignments such as course reports, group works, individual works, learning diaries, theses and article drafts, continues Heimbürger. - To complement RAF research, the aim of our study was to shed light on how academics experience using RAF as a feedback method, explains Lecturer Harri Keto from Tampere University of Technology. The RAF study results were presented and discussed in IEEE Frontiers in Education Conference in San Jose, USA. Heimbürger, A., Isomöttönen V., Keto, H. and Nieminen, P. (2018). How do Academics Experience Use of Recorded Audio Feedback in Higher Education? A Thematic Analysis. IEEE Frontiers in Education Conference, FIE 2018, October 18 - 21, 2018 Indianapolis, Indiana, USA. To be published in IEEE Xplore Digital Library. Heimbürger, A. and Isomöttönen V. (2017). 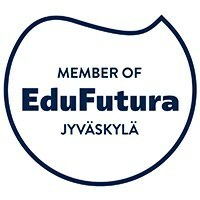 Moderating Cultural Effects in a Higher e-Education? Supervisor’s Tone of Voice in Recorded Audio Feedback. IEEE Frontiers in Education Conference, FIE2017, October 18 - 21, 2017 Indianapolis, Indiana, USA. https://ieeexplore.ieee.org/document/8190646. Heimbürger, A. (2018). 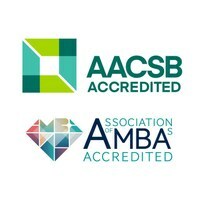 Using Recorded Audio Feedback in Cross-Cultural e-Education Environments to Enhance Assessment Practices in a Higher Education. Advances in Applied Sociology, Vol. 8, No. 2, pp. 106-124. doi:10.4236/aasoci.2018.82007.